We’ve covered Kickstarter projects before such as the waterproof watch kit and today; we’re going to feature two of them. They are both keyboards, both aesthetic and both amazing ideas. We have no doubt that both products will receive the public funding they need for sale and distribution. 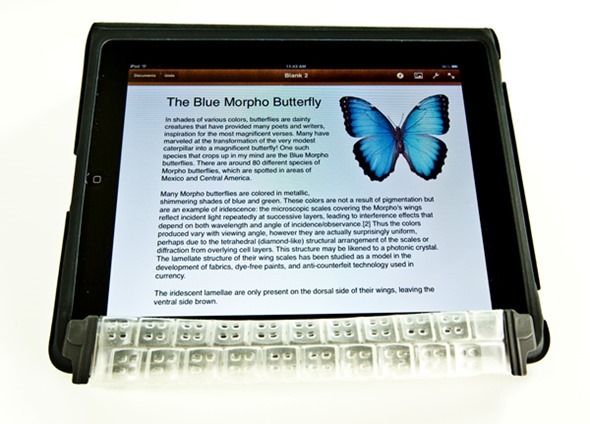 The first project is geared toward iPad users and more of a keyboard accessory. TouchFire is placed over your iPad’s onscreen keyboard and will allow you to feel where each key is. The gadget is very lightweight and is attached to the inside of your iPad’s cover. 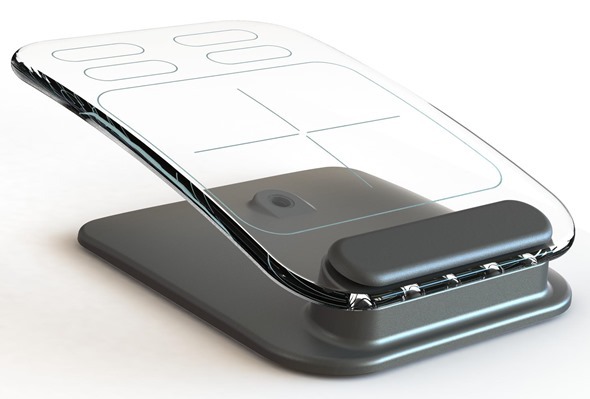 TouchFire folds with the cover so it is never in the way and is transparent so you can se the keys underneath easily. Although TouchFire attaches itself using magnets built into the iPad 2, it works just as well with the original model by using a standard case. 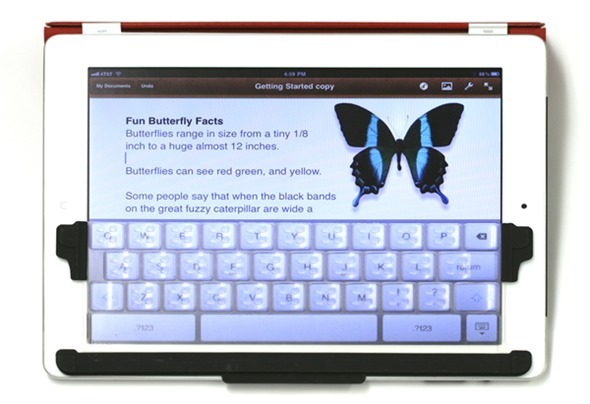 TouchFire puts the "touch" back into typing on an iPad. You can now feel where the keys are and rest your fingers on the home row, so you can type as fast and accurately as you can on a laptop. You can even type without looking at the screen. TouchFire cushions your fingers as you type, something both touch-typists and two-finger typists really appreciate. The project’s goal of $10,000 has surpassed expectations, raising a whopping $87,436 and climbing. There is still time to pledge and support the invention for as little as $1, although by pledging more ($45), you are essentially pre-ordering the device when released. 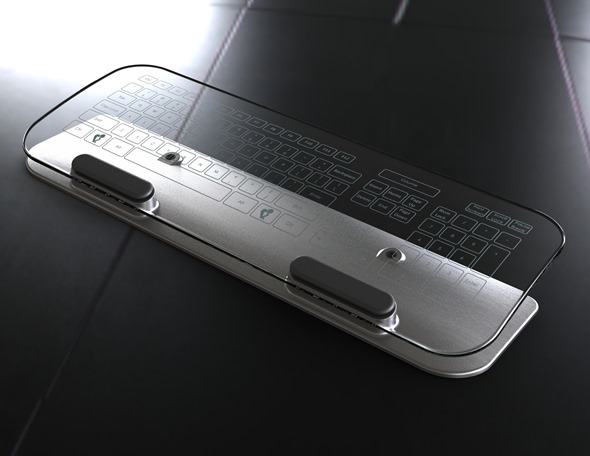 The second Kickstarter project is a type of glass keyboard and mouse combo that screams “Apple”. The group behind the invention is asking for $50,000 worth of pledges. They aren’t too far along, raising over $43,000 so far, with a little over a month to go. These elegant well made devices are composed of quality tempered glass, a solid metal base, and the finest components. They are designed using simple existing technology and have no moving parts. They have rechargeable Lithium Polymer batteries and are completely wireless. The tactile sounds and lighting can be turned on or off per the users’ preference plus they are coffee and doughnut resistant! The multi-touch keyboard and mouse combo do not have a name yet, but by donating $10, you are able to suggest one. If your name is chosen for the device, your award will be the invention itself. Since the technology behind the combo is more advanced than standard keyboards out there, it is no surprise a higher pledge will be required to pre-order the device. In this case, a pledge of $250 will ensure you receive the wireless mutli-touch keyboard or by pledging $100 more, you’ll get the mouse as well. Both inventions have been thought out and are well on their way to becoming popular accessories. Visit their Kickstarter pages to learn more or to submit a pledge.